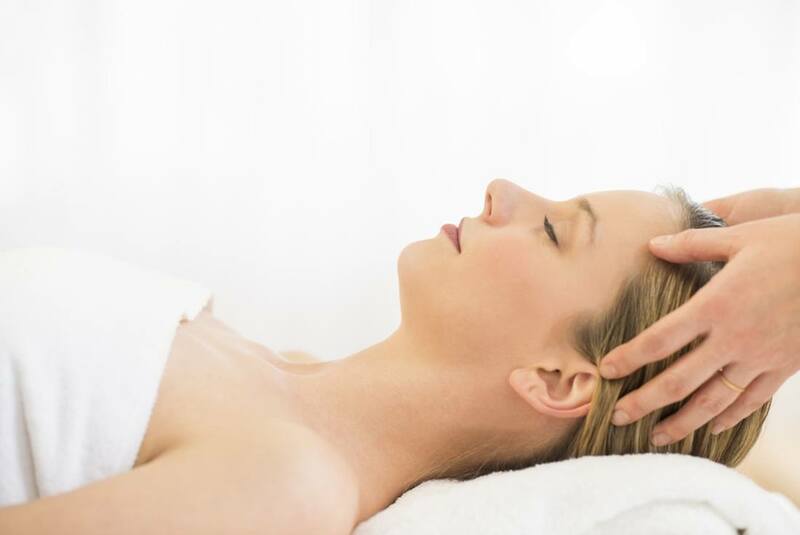 Indian head massage works on the whole body and is classified as an holistic treatment, the physical, psychological and subtle levels are treated – resulting in a de-stressing programme for the whole body. Using massage techniques on the scalp increases blood circulation and nourishes the hair follicle, if you have chosen a massage medium the oil will also be a treat to your hair. (Massage Medium is a choice that you may wish to decline should you need to return to work, however should you wish a medium to be used please see massage mediums available at Sanity). Sanity starts your Indian Head on the massage couch facing down on the bed so that your back,upper shoulders, neck and back of head can be massaged, using a lighter touch than a Swedish massage but still working the knots and tension away from the problem stress holding areas of the upper shoulders and the muscles going up the back of the scalp. Friction techniques will be used on the shoulder areas, muscle pull back for the neck and top of your shoulder blades, leave those areas feeling light and relaxed before moving onto the scalp. Kneading, knuckling, tapping and slight pulls on the hair provide a sense of immense release to any tightness and stress that we hold during the day, these techniques also encourage blood flow to the scalp nourishing the hair follicle with the oxygen that the improved circulation is providing. Once the muscles and scalp have been worked you will be asked to turn over on the couch resting your head back and your face that contains 37 marma/pressure points will be worked to provide lymphatic drainage of toxins held deep within the cell structures to be flushed out, sinus passages will be stimulated to reduce inflammation and congestion. Marma points are reflective of our energy centres should you understand the origins of Chakra healing, the aim of stimulating the marma points is to re-centre our energy wheels that supplement our physical being. (Any Chakra, or Energy balancing technique’s can be explained in detail should you be interested, just ask).